Tsum Valley Trekking trail leads along the Budhi Gandaki valley at the beginning and towards Tsum Valley. Tsum Valley is an undiscovered land located in the remote corner of Nepal. As newly explore trekking route in Nepal reflects natural beauty on it. Until recently this region open for trekkers. However, realizing the potential for tourism in this area the Nepalese government opened this region for tourists. Tsum Valley Trekking region is rich in cultural heritage and can observe the number of Chortens, Gumbas, and Mani walls. The ‘awful snowman ‘ or ‘Yeti’ can appear to observe in this remote land. The Tsum Valley is also home to a pilgrimage route cause it is believed that the great Buddhist Guru Milarepa had once meditated in the mountain caves of this valley. We also get to visit the famous natural hot springs in this trek. There is believe that the hot water of these springs cures any kind of allergies related to our skin. Tsum Valley is one of Buddhism’s purifying hidden valley. Also, Tsum Valley Trekking holds important old monasteries amid remote villages. For centuries, people have depends on subsistence agriculture, grazing herds of yak, and trading with Tibet. The trails also curve past square Chortens and piles of stones and hand-carved with Buddhist prayers and deities. People still grow barley and tends to their yaks. Tsum Valley Trekking is opened for tourism only after 2010. Tsum Valley is well-found culturally and environmentally and also has breathtaking beauty and big mountain views. 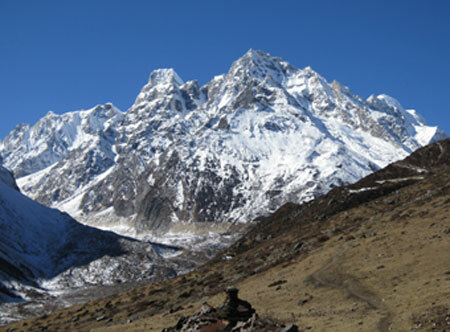 During this trek, you can also have a chance to trek with Buddhists Lama. The lama will teach us about the basics of Buddhism, help coordinate a special blessing ceremony at one of the area monasteries, lead optional brief meditation sessions for interested clients, and generally provide a deeper level of entry to Tsum Valley’s rich cultural heritage. Day 20: final departure to Kathmandu airport and further plan according to flight schedule.